THE mouthpiece of Queensland mines is asking a senior Labor figure to come visit mining villages in Central Queensland after she labelled them "concentration camps" in Parliament. Labor's mines spokeswoman Jo-Ann Miller told the House she had heard "harrowing stories" about the mining camps. Deputy Premier Jeff Seeney has demanded Mrs Miller retract the statements, describing them as "abhorrent"
Mrs Miller said people from resource-rich towns of Moura, Dysart, Middlemount, Blackwater and Moranbah described having to be given permission slips if they wanted to leave their accommodation villages. The Opposition is campaigning for the government to stop allowing 100% fly-in, fly-out arrangements at two major Central Queensland coal mines. At BHP Billiton Mitsubishi Alliance's new Daunia and Caval Ridge mines, about 1000 roles were offered only to those living in either Cairns or south-east Queensland. "This policy of denying workers and their families the opportunity of living near their work should be made unlawful," Mrs Miller said. "It is dangerous, it is discriminatory, it is un-Australian and it is a disgrace." BMA was given approval for its work arrangements while the former Labor government was still in power. 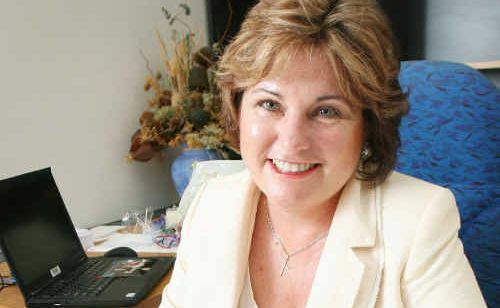 Queensland Resource Council chief Michael Roche said Mrs Miller's claims were "probably the most extraordinary contribution to the debate" he could recall. "In my experience, no accommodation village deserves the description of a concentration camp," he said. Mr Roche said he would dispatch a letter to Mrs Miller inviting her to visit a mining camp. Mrs Miller said she had no need to again visit the mining towns, having spoken directly to those affected. "I was told that at some camps, written permission is needed from the company even to leave to buy a newspaper at a nearby town," she said. Mr Seeney said Mrs Miller should apologise to survivors of Word War Two concentration camps for using the term to score political points. Mrs Miller is not the first to make such claims about mining camps. In late 2012, Queensland University of Technology's Professor Kerry Carrington described them as "hot boxes of crime", "gulags" and "refugee camps".